QUEZON CITY – The Cordillera Regional Development Council (RDC-CAR) approved in principle the implementation of the P5.5 billion Chico River mage-dike project being undertaken by the Department of Public Works and Highways – Lower Kalinga District Engineering Office (DPWH-LKDEO) for the putting in place of long-term solutions to the perennial flooding in low-lying barangays of Tabuk City and Pinukpuk, Kalinga and provide sufficient flood control measures as well as serve as a tourism and business center in the province. RDC-CAR chairman and Baguio City Mayor Mauricio G. Domogan, however, informed the concerned government agencies and the local government to provide the region’s policy-making body with the pertinent documents supporting the implementation of the noble flood control project beneficial to the people in the province in the future. Earlier, the Chico River mega-dike project that strands from Tabuk City to Pinukpuk town is envisioned by the project proponents to effectively and efficiently put an end to the perennial flooding in the 16 barangays of lower Tabuk City and 5 barangays of Pinukpuk aside from hosting the establishment of an airport, business and tourism center that will contribute in efforts in spurring the economic growth of the province by maximizing the potentials of the available resources in Kalinga. Kalinga Rep. and Mountain Province caretaker Congressman Allen Jesse C. Mangaoang requested the RDC-CAR to endorse the P5.5 billion Chico River mega-dike project to support the continuous provision of the required funds to complete the project by the year 2021 pursuant to the commitment made by top officials of the public works department. The DPWH started providing initial funding for the implementation of the initial stages of the project before the inclusion of the remaining balance of the funds in the upcoming budgets until such time that the project will be completed. Mangaoang expressed his gratitude to the members of the RDC-CAR for endorsing the multi-billion project because its completion will definitely put an end to the perennial flooding in lower Tabuk City and parts of Pinukpuk town apart from becoming a major economic driver considering that it will play host to an airport, a business and tourism center that will provide added employment opportunities for residents in the province. 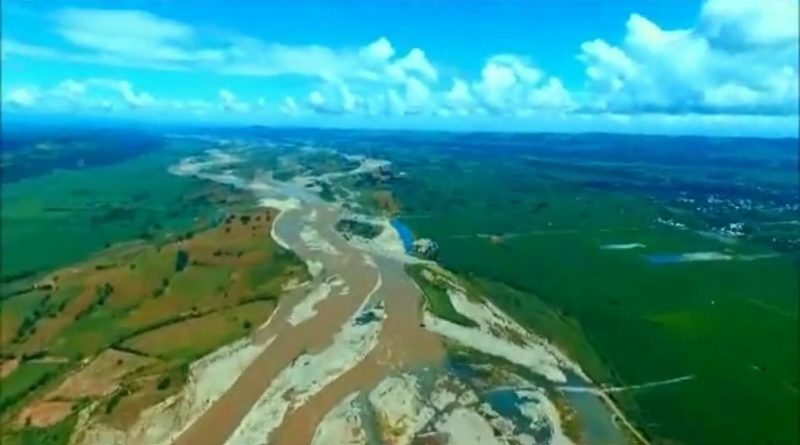 One of the major components of the mega-dike project is the construction of a 300-meter wide and 18-kilometer long flood control facility that will also serve as a major alternate road while preventing flood waters from damaging thousands of hectares of rice farms in the rice-producing communities of the province. By next year, the government will be providing some P500 million to jumpstart most of the works in the project site while the remaining funds will be earmarked in the annual budget of the concerned government agency in the next two years. Mangaoang added the project will also help save on public funds being used by the concerned local governments for the dredging of the river system considering that the put up of the permanent flood control structure will be a long-term solution to the perennial flooding problem in the said places.